On June 1-3, D&D will bring tons of Twitch streamers, actors, comedians and D&D luminaries to the Stream of Many Eyes, a three-day livestreamed extravaganza full of cosplay, crazy sets and amazing stories. During the Stream of Many Eyes (#SoMEDND), the D&D team will unveil the new adventure story coming this year and showcase extraordinary D&D liveplay entertainment in a huge studio in Los Angeles. Not only can fans around the world watch all the excitement unfold on twitch.tv/dnd, but you can now buy tickets to come take a tour of the studio’s sets on Sunday, June 3, get D&D merchandise you can’t get anywhere else, and watch your favorite entertainers play D&D live in the studio! On Sunday, June 3, fans who buy tickets will get an exclusive tour of the sets, a bag of D&D merchandise, and a seat in the live studio audience to watch some of your favorite streamers play D&D. 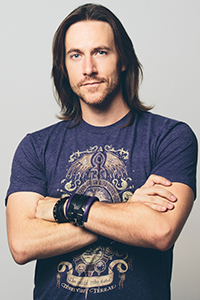 There are four groups performing on Sunday, including members of Critical Role, High Rollers, Force Grey and the entire cast of Dice, Camera, Action! Gourmet food trucks, a D&D pop-up store full of merch, and live performances from musicians, dancers and stunt-people will keep the atmosphere downright jovial before the scheduled tours begin. On the tour of the sets, you’ll get to interact with characters, authors and luminaries from some of the brands who work with Dungeons & Dragons. Tickets are $200 each for this unique experience you can’t get anywhere else, including a bag full of D&D merchandise. Check out the schedule and how to buy tickets below. There aren’t a lot of tickets available, so if you’re in the L.A. area make sure to grab them quick! Please arrive 15 minutes prior to event start time. Attendees must have a valid for of ID to enter. All guests must be 18 years or older. Join D&D at the Stream of Many Eyes (June 3, 2:45pm-6:00pm PT; livestream starts at 4pm). 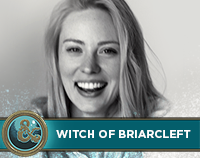 Take an exclusive tour of the streets of the Forgotten Realms and watch Deborah Ann Woll present an extraordinary adventure, Dungeon Mastering for a group of special guests, including Critical Role's Matthew Mercer and Marisha Ray, plus Tommy Walker and Julia Dennis! 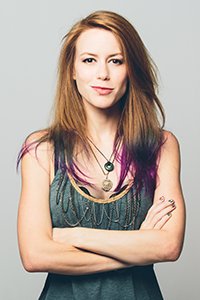 Marisha Ray is a performer, voice actor, and uber-nerd based out of Los Angeles. Every Thursday you can watch her roll dice and role-play as Keyleth on Geek & Sundry’s Critical Role; you can hear her in Persona 4 (Margaret); Legend of Heroes: Trails of Cold Steel (Laura); Star Wars: Battlefront (Stormtrooper), Metal Gear: Phantom Pain (Diamond Dog), as well as see her in Signal Boost (Host/Producer) Batgirl: Spoiled (Batgirl/ Stephanie Brown), Super Power Beat Down (Host), and Walk of Shame (Not a Working Girl) just to name a few. Marisha got her start in theater on the East Coast, working and training at companies such as the Actors Theatre of Louisville, American Academy of the Dramatic Arts, Point Park University Conservatory of Performing Arts, and the Governor's School for the Arts. She is also an avid gamer! At the age of three, she could beat anyone in a round of Mario Bros., including her father. She carries this love for gaming and geek culture into much of her hosting, comedy, and writing career. 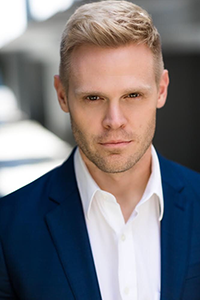 Tommy Walker is an actor, originally from the East Coast but now resides in North Hollywood, CA with his wife, actress Julia Dennis. He just got back from 7 weeks in Puerto Rico shooting a new action/thriller called Primal starring Nicolas Cage and Famke Janssen. He met Deborah Ann Woll on the set of Daredevil (Netflix) and he’s been playing D&D on a team with her for almost two years! Julia Dennis was raised in Ellicott City, Maryland before moving to New York City to study acting. After 10 years of National Tours, regional theater, commercials, a movie, and smaller roles for TV shows on ABC and FOX she decided to pick up and move out West with her husband, actor Tommy Walker. Since being in L.A., she has worked on short films with Doug Petrie, picked up playing D&D, bought a house and just rescued a dog named Loretta Lynn!